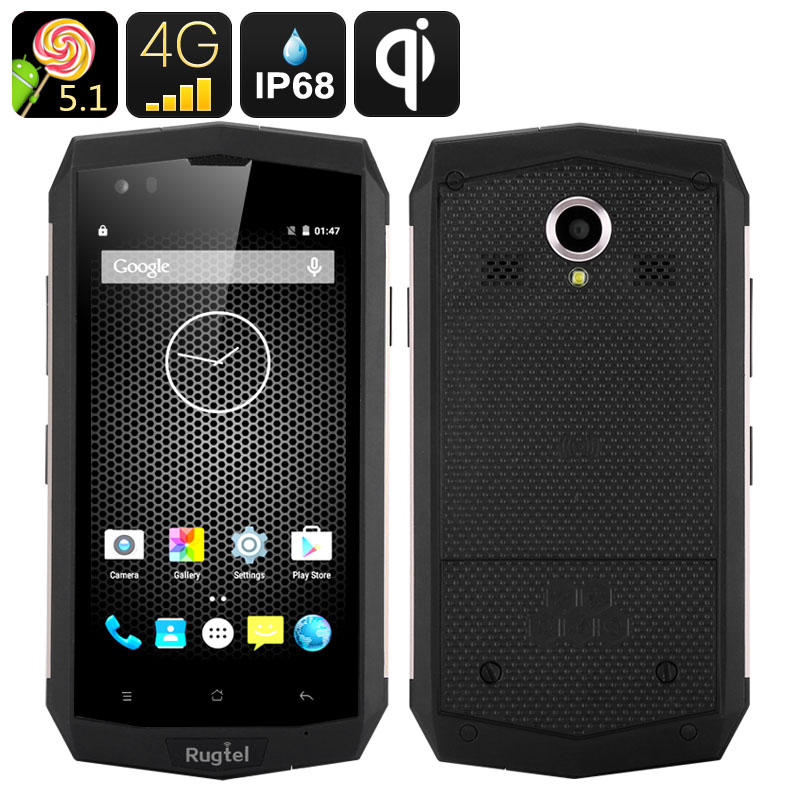 Successfully Added Rugtel X16 Rugged Smartphone - Quad Core CPU, 2GB RAM, 4G, NFC, IP68, Dual SIM, Gorilla Glass III to your Shopping Cart. IP68 Rugged Smartphone with Gorilla Glass III Screen for full protection from the elements. The 4.5 inch Rugtel Smartphone brings a powerful CPU, 2GB of RAM and Android 5.1 OS together in an IP68 protected shell so your phone no longer restricts where and what you can do. Under the hard toughened exterior of the Rugtel X16 IP68 Rugged phone beats four cores of blazing ARM processing running alongside 2GB of RAM, this provides all the raw power you need for a speedy performance whether gaming, multitasking or surfing the web. The 4.5 inch IPS screen offers up great brightness and a rich color pallet that is kept safe from the elements by Corning Gorilla Glass III protection. This capacitive tough screen can be used while wearing gloves ensuring that in harsh conditions you needn't freeze your fingers to make a call, check your location or snap off some photos. A great device for outdoor adventures this Android 5.1 Smartphone brings a masterful performance and can be submerged in dirt or water without suffering any ill effects so you can take it on the harshest of expeditions. The Rugtel Smartphone has two 4G supported micro SIM card slots that can be connected simultaneously. This ensure you get the best network coverage possible from the phones 2G, 3G and 4G frequencies and can even avoid roaming charges or manage two numbers on one device, making organization of business and personal contacts a breeze. Not only does the Rugtel X16 Smartphone answer all the needs of a Smartphone but it goes a step further. Featuring NFC technology you can use Google Pay and electronic wallets so you can leave your cash at home as this phone has all the bills covered. A rugged phone is no use if it doesn't have a long battery life so the Rugtel X16 rugged cell phone has been equipped with a 4200mAh battery that can bring up to 16 hours of talk time or as much as 80 hours in standby, which should be more than enough to see you through the busiest of weekends away. The Runtel IP68 Rugged Phone comes with a 12 months warranty, brought to you by the leader in electronic devices as well as wholesale Android Smartphones..